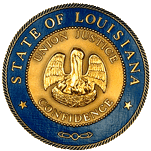 SCR8 MORRELL LEVEES - Directs the Southeast LA Flood Protection Authority-East to establish a $25 Million Fund for indemnification of claims arising from activities on certain property approved by the authority. SCR47 HEITMEIER TRANSPORTATION/DEV DEPT - Creates Task Force on the Crescent City Connection to analyze re-authorization of tolls, ferry services, and all components and management of the operation of the Crescent City Connection Division of the Department of Transportation and Development. Approval of the Coastal Protection and Restoration Authority's FY 2011-2012 annual plan for integrated coastal protection.